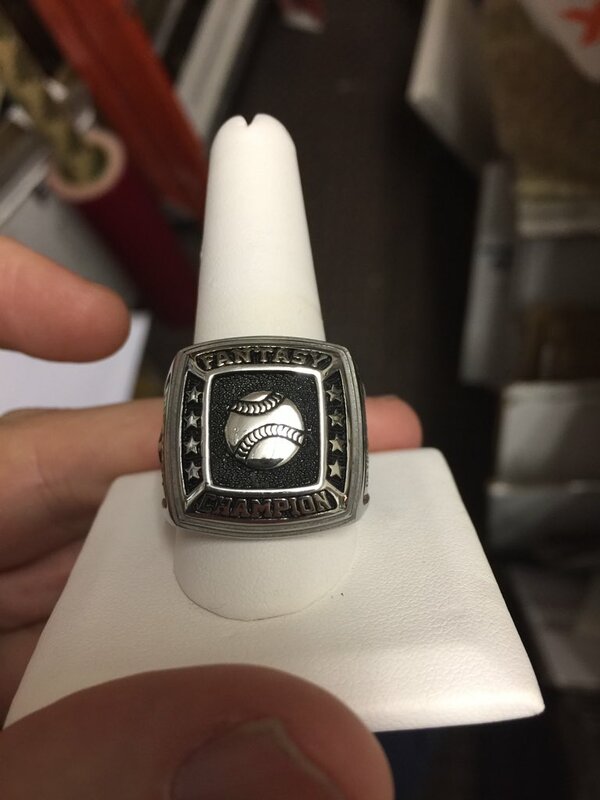 So for my keeper fantasy baseball league that I created back in 2011 – my pride and joy league – I decided to raise the stakes and create a championship league ring this year and every year following for the league winner. 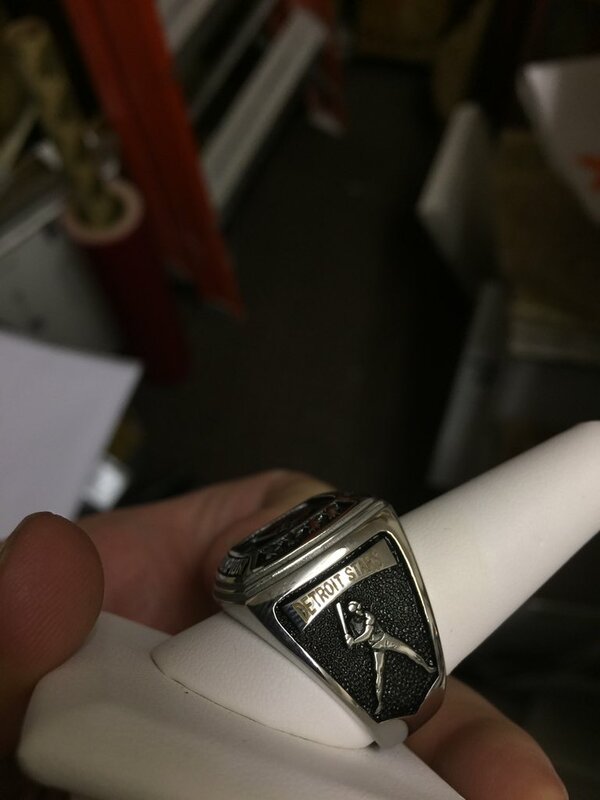 I commissioned the creation of our first championship ring through Official Fantasy Rings (@TheFantasyRings on twitter) and they did a great job of getting this done quickly, and responding to many messages about customization and how the process was coming along. If you’re a serious fantasy sports player – and lets be honest, when you’re a mid-30’s guy who loves sports and you can’t play anymore, this becomes the most important thing in your life aside from your family – I would give them a recommendation to any league. 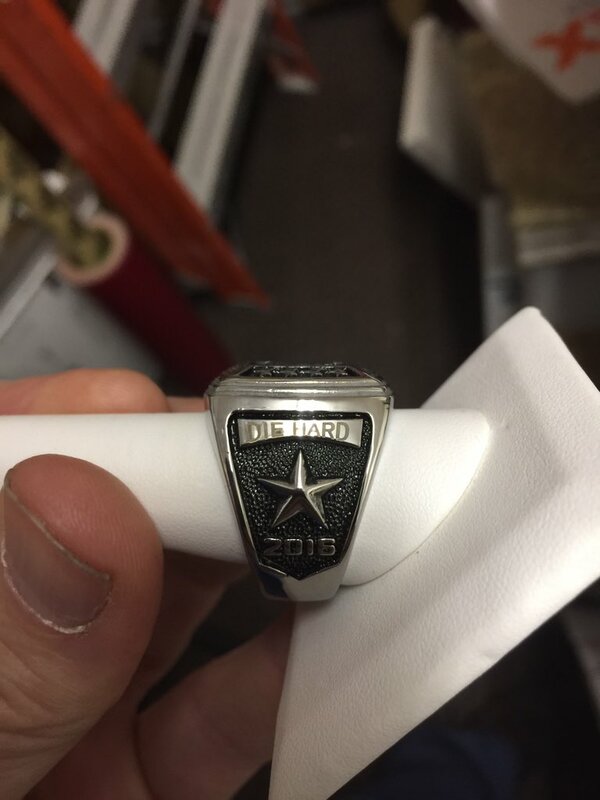 Here are a few more looks at the Die Hard Keeper League title ring, awarded to the 2016 Champion; the Detroit Stars (the Stars also won the thing in 2015 before we began the tradition). And with that, I am inspired to win a damn ring in 2017. I need one of these, in a display case in my mancave; where it assuredly will matter to no one but myself. Here are our league champions dating back to the league’s inception in 2011, along with their winning point total. The chase for the ring in 2017 begins soon. We’ll probably do a post like this every year that shows off the winning ring and honors the champ.